Our starter strength CBD oil provides you with 10mg of CBD per ml, which is the equivalent of 300mg of CBD per bottle. We recommend this dosage for those who are just starting out with CBD oil or looking for a lower dose of CBD. This CBD oil is extracted from responsibly grown hemp plants on farms right here in the USA, guaranteeing extracts of the highest quality. 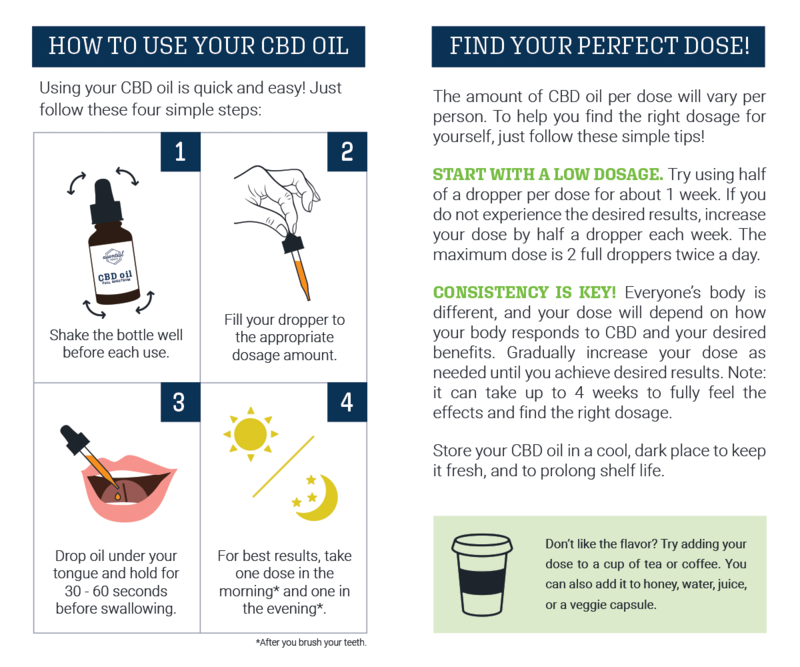 If you are just starting out or looking for low doses, we recommend the 10mg strength of CBD oil. CBD works best if it is introduced to the body slowly and at low strengths. Those with a smaller body mass and low body fat may benefit more from lower strength CBD and making slow increases than taking the higher strength option. Once you experience your desired effects, we suggest you move to a higher strength, still introducing the increase slowly. It is suggested to start with 5mg, twice daily. Then, slowly increase by 5mg every 2-4 weeks until you find your desired effect.